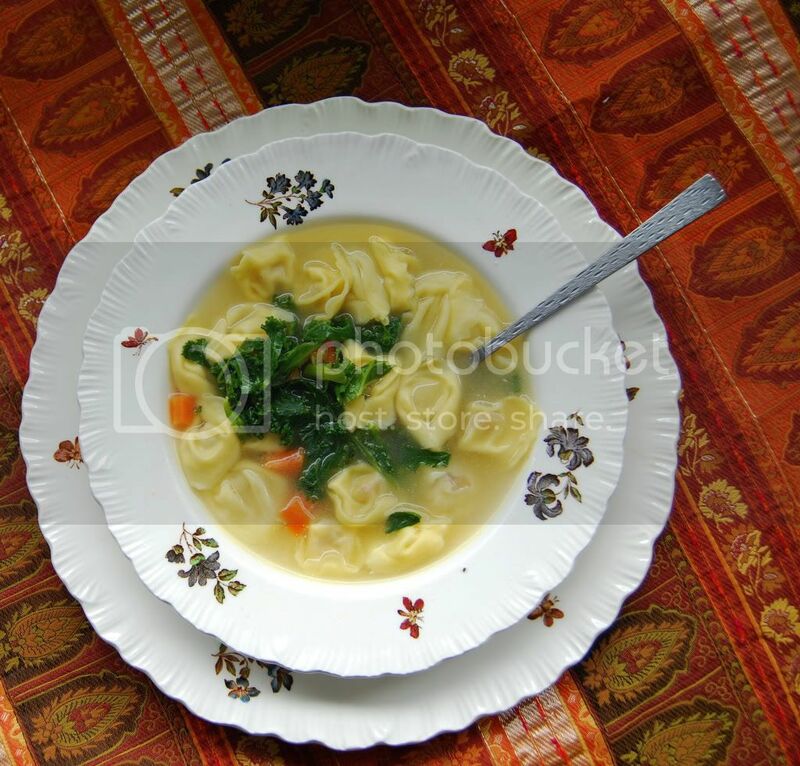 Who doesn’t love a steaming bowl of soup? I have soup all the time- thick and chunky for those cosy winter evenings, heinz cream of tomato for a nostalgia kick, or an infinite variety of broths that you just know are good for you. Plus most the time, it can be made with leftovers from your fridge and cupboards. What more could you ask for? At the moment this recipe is pretty much all I want to eat. I’ve been busy trying to get on with my essay work, plus I’m getting over an annoying cold, so I’ve wanted a recipe which is easy, filling and good for me (especially as I’m fending for myself whilst the young man is with his family!). 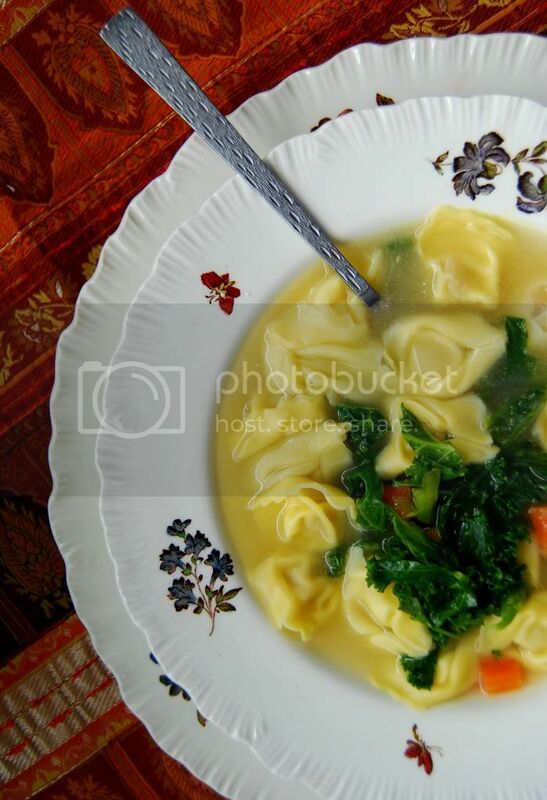 A broth with ginger, chilli and garlic for the immune system, chopped kale for iron and tortellini for energy and a bit of protein makes for a perfect meal! In a medium size saucepan, place your stock cubes and water on to heat. Prick the chilli and garlic cloves with the tip of a sharp knife, and chop the ginger into slices. Place all of them into the stock to simmer for about 15 minutes. Whilst the stock is simmering, you can prepare the veg. Chop your carrot into chunks (for this I like mine pretty small). Wash the kale and chop into small strips. Taste your broth – there should be a slight hint of the chilli in the background. When you’re happy with it, scoop out the chilli, ginger and garlic and season the broth with salt and pepper to taste. Then you can add the carrot and kale in to cook for about 10 minutes until the carrot has softened. Add your tortellini, which should only take about 5 minutes to cook. Add a few sprigs of torn coriander for extra flavour and enjoy! P.S I had a little redesign now that I’m brushing up on my HTML skillzz. What do you think? Have a little look around why don’t you? P.P.S. If any of it doesn’t work, help a girl out and let me know? Fingers crossed I got it right!